Think about someone whom you really admire. Consider their character traits and their mannerisms. Think about their speech patterns and the way they dress etc. What are the words that come to mind? The person I’m thinking about is relaxed, yet remarkably on top of things. They are always positive and candidly hilarious. They’re an eclectic dresser, but they do it with confidence, and they totally own their style. In a word, they’re confident. And this probably doesn’t come as a surprise; self-confident people are often admired by others. They tackle each day with everything they got, but they somehow manage to do it with both grace and ease. What’s more, they seem to have this magical ability to inspire others to do the same. So what gives? Why does it feel nearly impossible to exude similar confidence? And perhaps more importantly, how can we start to do so? Why do many of us lack self-confidence? After thinking about this in regard to my own confidence levels, and combining that with conversations from others, I’ve discovered that the big answer is pretty straightforward. It’s fear of failure, fear of judgment, fear of disappointing others, the list goes on and on. As Elizabeth Gilbert says, fear manages to jump in the front seat of the car and take over driving duty. In the meantime, we get banished to the backseat and completely lose control. So what can we do about this situation? How can we put fear in the trunk of the car, reclaim the driver’s seat, and discover self-confidence along the way? Good news! That’s what today’s post is all about. 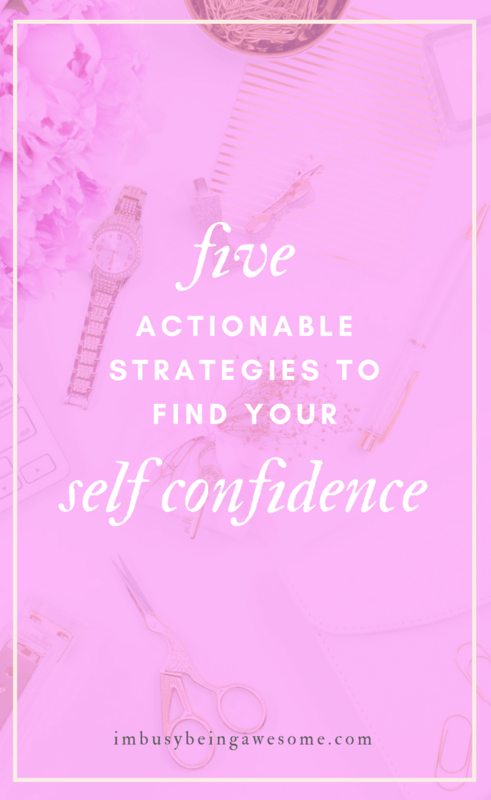 So if you’re ready to boost your self-confidence and quiet your inner critic, you’ve come to the right place. I don’t know about you, but whenever I’m stepping outside of my comfort zone to do something unfamiliar, scary, difficult, etc. my inner critic comes out full force. She doesn’t stop with questions, either. Nope, she offers blatant statements as well. Here’s the deal, the well-worn saying is true: we are our own worst critics. And this is especially true if you suffer from low self-confidence. Start questioning that inner voice! Remember, celebrate your accomplishments, recognize your hard work, and tell that inner voice to take a hike. You have a job to do. This practice might feel a bit uncomfortable at first, especially if focusing on your strengths is an entirely new concept. Nevertheless, I can’t stress how important it is. Take some time to really reflect on all that you do – big or small – and write it down. Don’t worry, you don’t have to show it to anyone if you don’t want to. If you want to boost your self-confidence, you need to be proud of everything you do. Keeping a tangible list as a reminder is a great way to start. Bonus – once you’re comfortable with the process, then share your list with someone you trust; let them celebrate your strengths with you. Shower regularly, brush your hair, wear clean clothes, etc. If you want to boost your self-confidence, it’s important that you feel clean and presentable. Not surprisingly, practicing good hygiene is the #1 place to start. Also, eat a healthy diet that makes you feel great. Ensure that you’re getting enough sleep. And exercise on a regular basis. In order to boost your self-confidence, you need to feel good on both the inside and the outside. If these simple life changes aren’t quite enough, maybe it’s time for a slightly bigger shift. By changing up your look with a flattering cut, you’ll boost that self-confidence quickly. Similarly, change up your wardrobe. Pull out the clothes in your closet that make you self-conscious, uncomfortable, or is simply unflattering. Box it up and donate it. Then, find a handful of pieces that make you feel great. When you love the way you look, not only do you boost your self-confidence, but you also exude that confidence to others. Do you find yourself slouching? Is it difficult for you to make eye contact? Are you often frowning? Do you speak in a rush or find yourself mumbling? We often fall into these confidence crushing behaviors without even noticing it. So what can you do to fix the situation? Easy! Simply push back your shoulders, put on a smile, make eye contact when you’re speaking with people, and slow down your conversation. These subtle shifts will both boost your self-confidence and project your confidence to the world. Here’s the deal, affirmations work. And this is true whether you’re practicing positive OR negative affirmations. Most of us struggle with negative affirmations that loop consistently through our mind, which is thanks largely in part to that darn inner critic I mentioned above. Because we repeat these messages so often, we start to believe them, which weakens our self-confidence. Well, guess what, you can do the same thing with positive affirmations as well! Yep. All you need to do is put positive, affirming statements about yourself on repeat instead. Is this hard to do? Eh, not really. But the more you practice, the easier it gets, and the more wholeheartedly you embrace these positive beliefs. State your affirmations in the present tense. This commands your mind to believe them in the here and now. Try as hard as you can to truly believe these affirmations. It might not come easily at first, but don’t give up. Remember, affirmations don’t need to be your present reality. In fact, many people argue that affirmations become true; that’s what makes them so powerful. Repeat them every day – multiple times a day, if necessary. Looking for some ideas for positive affirmations? You got it! Click here for a list of 40 affirmations. Choose the ones that speak directly to your situation and repeat them daily. Put them on post-it notes and stick them around your home. Paint them on a canvas and hang them on your wall. Do whatever it takes to keep these positive messages flowing into your mind at all times. The sooner you embrace these truths, the sooner you’ll take on the world with confidence. How do you boost your self-confidence? Does fear ever hold you back? What do you do to push fear to the backseat and take back control? Let me know below! Strong self confidence definitely shines through. These are done great suggestions for a boost. Paula this is such a great post! 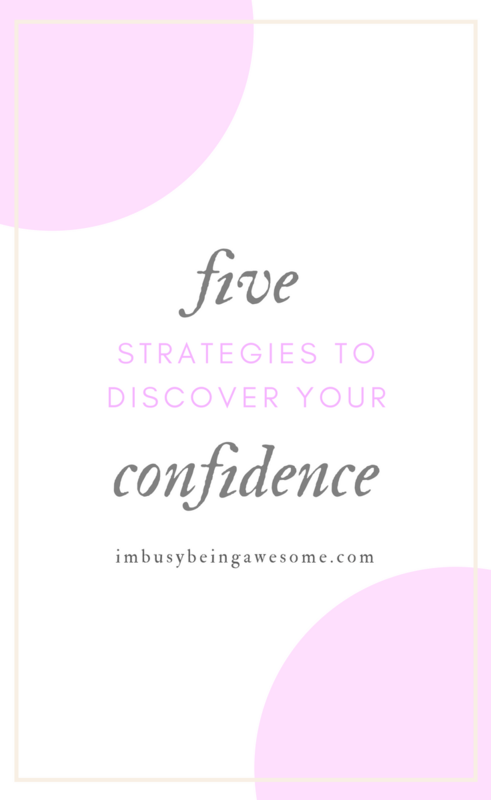 I totally agree, these tips will absolutely help someone boost their self-confidence. And I think we all agree that we need a little boost 🙂 I especially love the comment about positive affirmations. This has worked wonderfully in my life as well. Thanks for a great post! Many times we are told that self-care is selfish. However, in order to help anyone else we have to help ourselves and learn our own identity. Everyday the world is telling us who we should be or shouldn’t be, how we should look and what we need to own in order to be successful. All we need to do to be successful is know who we are and whose we are! You nailed it when you were talking about our inner critic. The world does that for us so we need to quit doing it to ourselves. My tribe would describe me as confident. Inside, I doubt every decision I make (good or bad), and am my harshest critic. Most people aren’t always what they seem. Yes, I completely agree. And I think so many of us struggle with that inner critic; their voice is usually the loudest, isn’t it? Earlier this year I noticed I had a mean inner voice that would tell me terrible things about myself. It was actually quite terrible. Thankfully I’ve been able to shift my mindset and quiet that voice and focus on more positive feelings and gratefulness. Yes, that inner voice can be quite a terrible critic. I’m so glad you recognized the negativity and are practicing positive thoughts instead! This all is so important, especially self care. 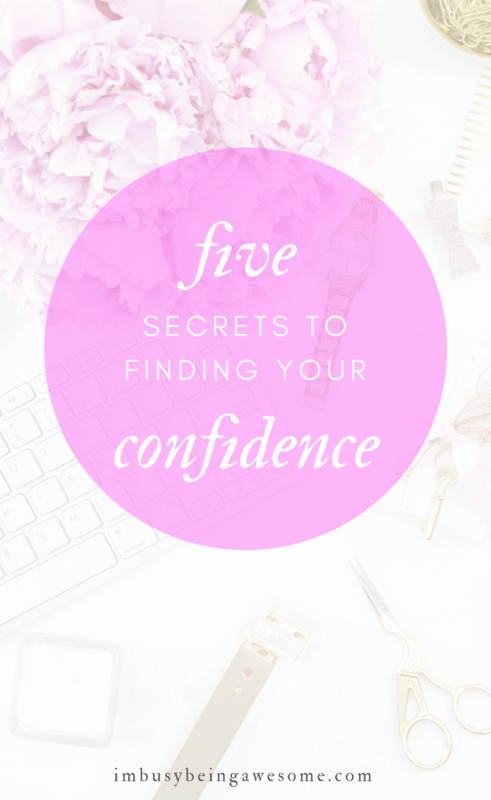 Love these tips, it’s a huge help for those days when I lose my blogging confidence. Thanks, Leigh! I agree – self care is so key. Great read! I do struggle with my self-confidence sometimes. You’re right, I do fear rejection and failure. But I am trying to learn new skills and trying to go out of my comfort zone.